THIS POST PROBABLY CONTAINS AFFILIATE LINKS. IF YOU WANT TO READ THE FULL DISCLOSURE POLICY, CLICK HERE. I can’t tell you how much my life changed when I started plotting out my “tomorrow” the evening before. It made living intentionally possible. I was sick and tired of waking up in the morning with more things to do than moments in a day, and not knowing where to begin. During those days I would float aimlessly yet frantically through my days as I struggled to accomplish what I needed to. The result? A burned-out mama, and nothing to show for it. That’s certainly not a way to live with intention. One night, as I panicked about everything that needed to be done the next day, I grabbed a pen and a slip of paper and started jotting down things that needed to be done. A funny thing happened as I wrote my list. It was like I could feel my heart rate slowing down as I wrote my point-by-point to-do list. My “tomorrow” went from feeling impossible, to feeling do-able. 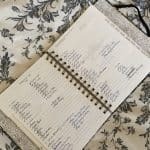 The next morning I woke up, and I started attacking that list, one thing at a time. Instead of doing 100 things at once, I did 1 thing. Want to hear the crazy part? I accomplished a whole lot more when I focused on one thing at a time. That was when I knew what it felt like to live with intention. And I liked it. Crossed off to-do list. Makes my heart sing y’all. Let me tell you a straight-up truth: There is hardly a feeling more amazing than knocking items off your to-do list and seeing a fully crossed-out list when you’re done. For me, I’m always helped by having a planner. And not just any planner. My planner needs to be beautiful and functional. I love the planners by Rifle Paper Co. They have a monthly calendar at the beginning of each month so that you have a quick over-view. Then, they have each week laid out over 2 pages. You can see each day in your week as you’re doing your planning. This helps you to make sure you’re not over-loading your days OR your weeks. And they’re so beautiful… which in my book counts for a lot. CHECK OUT THIS RELATED POST ON CHOOSING A WORD OF THE YEAR – FREE WORKSHEET INCLUDED TO HELP YOU GET STARTED! I’m a huge reader. I’m never without a book, and I carry one with me everywhere. It drives my husband crazy, as he can never understand why I need to take 5 books along when we go away for a weekend. Hey! A girl needs options when she’s got a weekend in a hotel with no kids! One of my favorite bloggers to follow is Allie Casazza (click this link to find her site). She’s all about simplifying your life… from your possessions to your commitments. Everything she talks about is soaked in the premise of how to live with intention. She has a blog, a podcast, and amazing courses. She’s super relate-able and inspirational… and she’s also a big reader! I listen to all her podcasts, and she did a series called “Allie Reads October.” Being that she blogs about living a simplified, intentional life, her book recommendations were on-par for this post, which is directed at helping a person who wants to live with intention. She recommended a lot of amazing books, and I made sure I picked up the ones I hadn’t read yet. One was called “Essentialism- The Disciplined Pursuit of Less” by Greg McKeown. This book is truly amazing, and I can’t recommend it highly enough for anyone who is ready to live with intention, or take it to the next level. I’ve been living intentionally (I thought) and simplistically for a while. However, this book ripped the veil off my eyes and showed me that I was actually still living like a non-essentialist. The other book that Allie recommended that really spoke to living with intention is called “Switch on Your Brain” by Caroline Leaf. Caroline Leaf is one smart lady. This book reminded me of the gift God gave us called free will. It also deeply educated me on the power our choices have in actually structuring our brain… building it up or tearing it down. Those choices are crucial to having success living intentionally. If you want to live with intention, than listen up, because this next part is good! 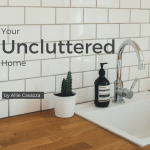 Allie is so amazing that she has offered my readers $30 off of her other amazingly thorough course,“Your Uncluttered Home.” You guys- she will take you through EVERYTHING you need to de-clutter your home and simplify your life. 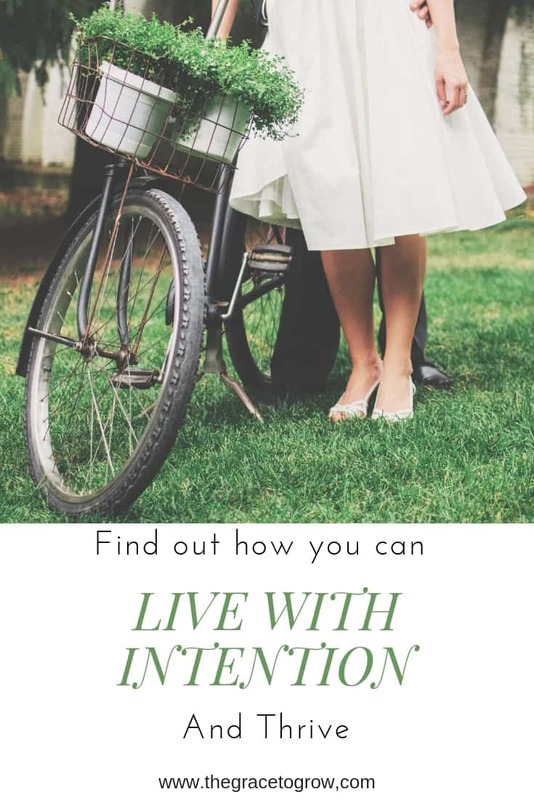 It’s going to talk you through really actionable, concrete steps, so that you can find freedom in your home and in your life. It’s also going to walk you through dealing with family members that are having trouble getting on board, and it’s going to help you deal with your own emotions as you learn to let go and lighten your load. 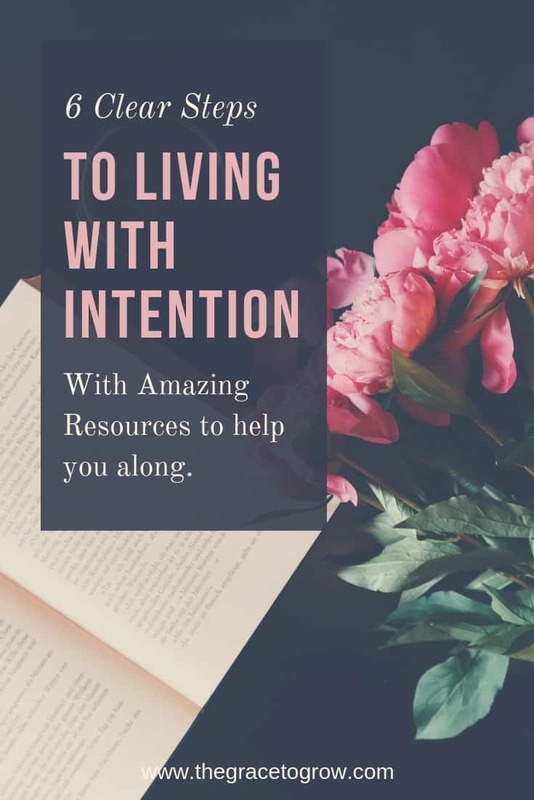 If you truly want to start living with intention, you have to check out everything Allie Casazza has to offer. She’s an expert in her field and will give you a *gentle* kick in the right direction. This should seem obvious, but it can be a tough one. You know the feeling. It has been a long day, the kids decided to gang up on you and leave you feeling like a shell of yourself. The dog got a stomach bug and puked all over the place. The washing machine leaked and flooded your laundry room. Your daughter dropped a glass in the kitchen. Or, if you live in my house, your daughter actually throws a snow-globe down the stairs. Actually. We all have days like that. If you’re like me, you want to forget about your goal to live with intention and just want to let Netflix take over your life and numb your brain once the kids are in bed. But what happens then is that you wake up more foggy and exhausted, and the vicious cycle repeats. So what should you do instead of Netflix (at least some time)? Sleep. Just go to bed and sleep. Pray. Such a small word that packs such a powerful punch. I’m the first to admit that I can struggle with prayer. But when we pray, there is such power. 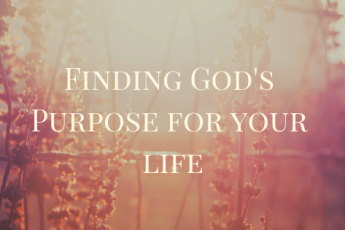 It’s so easy to get caught up in life… what we’re doing, what our kids are doing… and we lose sight of the one who gave us life and all the blessings we’re so busy with. I get easily distracted when I’m praying. What I have found to be incredibly helpful is to write down my prayers. This is helpful because it’s a lot harder to lose focus when your brain and your body are actively working at the same time. Also, I get to see my past prayers and how God has worked in different situations. I find this really helps me as I seek to live with intention. As with my planner, I love my prayer journal to be beautiful. I don’t know why, and perhaps it is shallow, but I’m drawn to do things when I’m working with something that has been artfully made, and speaks to the kind of person I am. My prayer journal is leather bound and gorgeous (in my opinion-we’re all different). I love the smell of leather; It takes me back to my horse-filled childhood, and brings me back to that simple and steadfast faith I had. It is incredibly helpful in my prayer life. This is the notebook that I have turned into my prayer journal. Another helpful way to pray is by praying scripture. Here is a post I wrote on how praying scripture opened up my prayer life. I also highly recommend this book, “The Valley of Vision.” The prayers in this book are soaked in scripture and speak to the soul and glorify the Lord. Prayer has helped me immensely as I do my best to live with intention. To live with intention does not mean to make sure every moment of your life is booked and scheduled. That may mean you have impressive organizational skills, but that’s about all it means. I’m definitely a person that is driven, and I have a tendency to want to make sure my schedule is full. I always like to make sure I’m being challenged in some way. Despite the fact that I crave that, it actually damages me. When I run on maximum for too long, and commit to too many things, I start to shut down. My brain becomes scattered, my heart beats too fast, my dreams are so real it’s like I never go to sleep… it’s just not good. I have forced myself to take time and space. I have forced myself to make sure there’s white space on my calendar. And I haven’t felt better in my adult life. The Bible speaks over and over again to the importance of rest, and how we can find rest in God. Jesus was also known to rest. Rest is good for the soul. It is good for the body, and it is good for the mind. Rest will help you live with intention. As Christians, the Word of God is our anchor. The Bible is where we need to go to find not only who we are, but how we are to function. The Bible amazes me; It is just as relevant today as it was thousands of years ago. As you set out to live with intention, you need to have the word implanted and ingrained in you. This happens through reading the word, soaking it in and applying it in your life. God’s word can refresh, and it can convict. Let it do both. I love to use the ESV Gospel Transformation Bible most frequently. This Bible is incredible for daily study, as the footnotes are extremely thorough and provide lots of cross-references for scripture. A journaling Bible is also a great option. Like journaling prayer, you get to physically write as you study, and that can be really helpful in absorbing what’s being said. God’s word is alive. It’s his gift to us so that we can know him more. And we can’t truly even know ourselves apart from him. So accept that gift and get into the word. 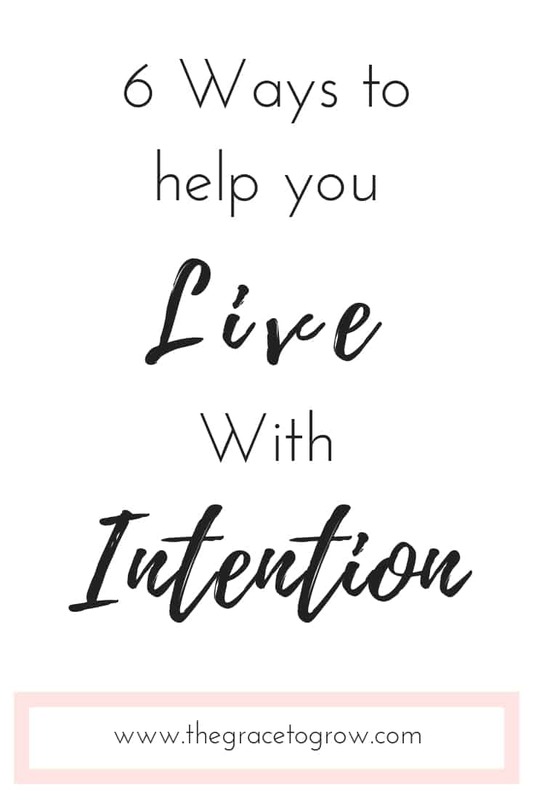 There is perhaps nothing else that can help you more as you seek to live with intention. 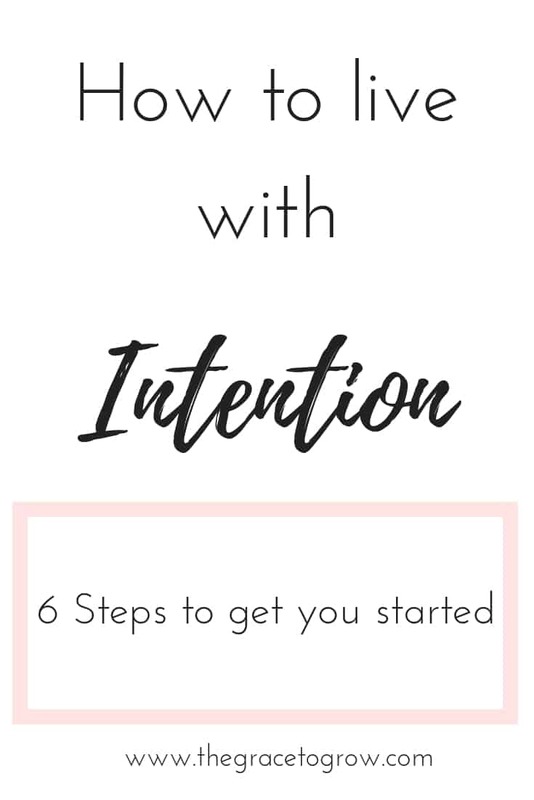 Those are my 6 steps that have helped me to live with intention. I hope they will be useful for you! Remember! 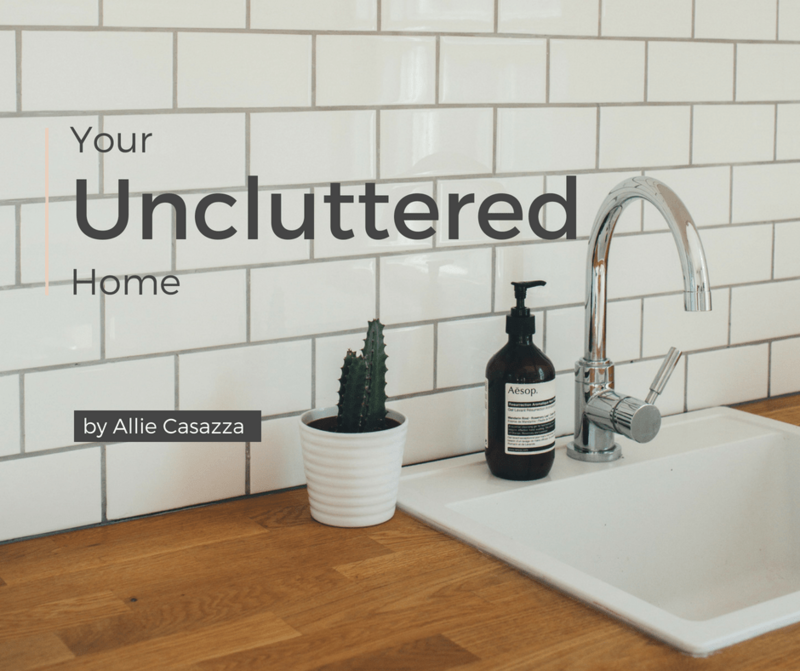 Allie Casazza is offering an awesome deal to my readers… $30 off of on her amazing course, “Your Uncluttered Home.” Trust me… jump on this! 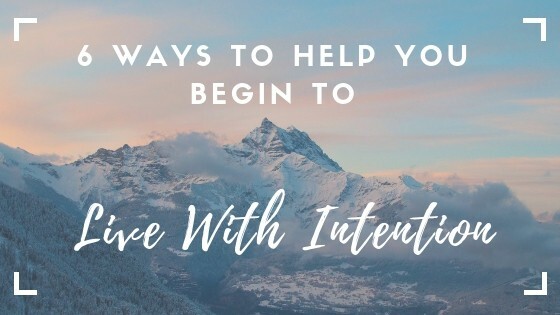 Make this one of your first steps to living with intention. It will 100% set you on the right path. Feel free to scroll to the bottom of this post to sign-up to grab a copy of my “Word of the Year” worksheet! While it may not be January 1st, choosing a guiding word for the year is so important to helping us live with intention! Subscribe here to get your free ‘Word of the Year’ worksheet! Oh! And when you go to grab your free worksheet, don’t forget to check your spam/junk folder! While this is far from junk… You know how testy the internet can be! 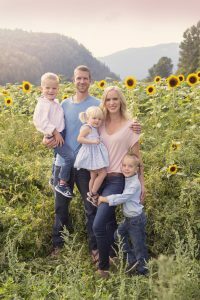 I help women grow in faith and health, and embrace real food in this fast-paced world. So true! You’re not alone. Sleep is often forgotten. I like the way you say that… “switching priorities.” 100%!!! Reading the word more, getting a planner (I actually hinted for one as a gift..hoping I get it😃) and praying more intently are some of the ways I plan on living with intention for the coming year. All such practical methods. I love the reminder to pray the scriptures. That definitely helps anchor my heart and mind when I’m feeling tossed about! Wishing you a season full of joy, intentionality and rest! Thank you Rachel! I wish you the same this Christmas! I love this, full of so much wisdom and practical advice. Going to share. Thank you! Amen! I love these! 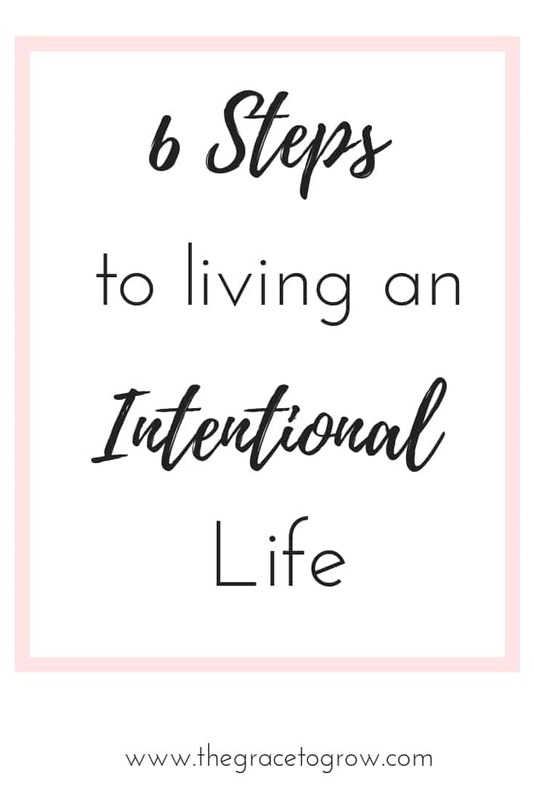 Intentional living is definitely something I want to focus on in the New Year. Thank you for these tips. I have saved this link for when I start to blog about My One Word and that whole concept…reviewing last year and planning for next….if I have your permission! 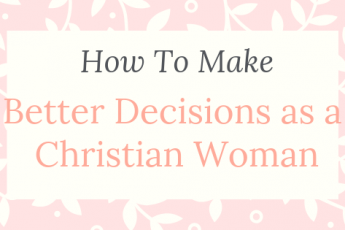 I wanted to share a resource for you…it’s effected my prayer life, then I moved…and forgot about it until I read about how you like your prayer journals to be pretty. Praying in Color – Drawing a new path to God by Sybil MacBeth. I just hunted for it in my bookshelves and found it! Thank you for pointing me to next year! I look forward to chatting with you more… thanks for connecting! 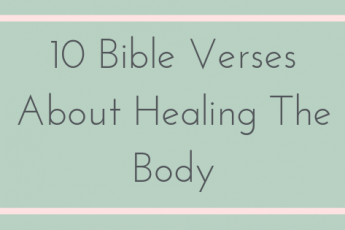 Prayer and sleep are my favorite on this list. Such a wonderful post! Thank you for this great reminder and tips to put it into action! Good advice, supported with amazing resources! This is a great post! I’m such a person of intention, so these help. I absolutely love Essentialism btw. Greg is a nice guy who actaully responds on Twitter! Thank you, Rose! I’m glad I found another fan on his work! Absolutely love this post. This is my New Years resolution and such great tips and reminders. I really want to live more intentionally with my kids. Thanks Kristal! I think having kids has a way of really pushing us towards desiring intention and hopefully following through with being intentional! But at the same time, having kids is exhausting, and that can make it hard! Thank goodness for the grace and strength of God!